Inspiration comes at the most random times, and in the most random of places. At the 2017 SEMA show, I was talking to the crew at Baja Designs when I noticed that one of the guys had built a battery powered Squadron light, and it got me thinking. 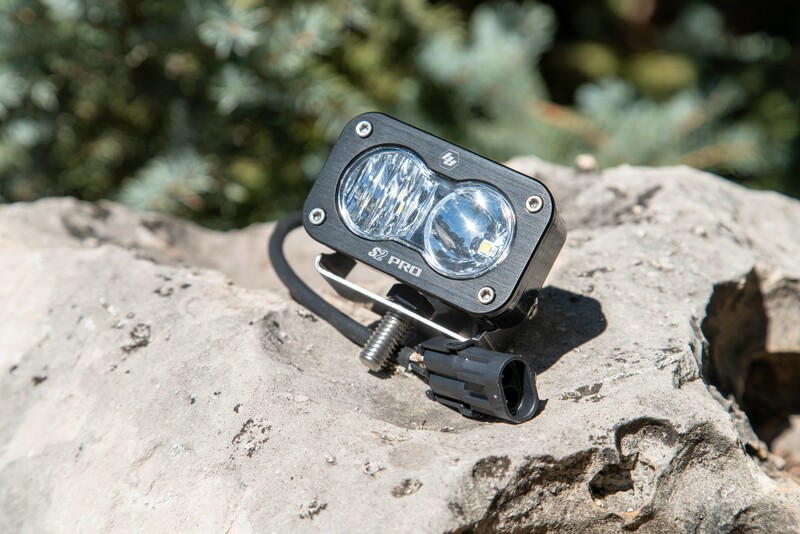 What if I could take a small Baja Designs light like the S2 Pro, and 3D-print a mount for it that would make the light work with the GoPro ecosystem of mounts? hmm. I'm not sure if I want a can of soda on my head. It's the group 31 that may get a little heavy? The light output is definitely worth the weight penalty. Honestly none of the folks that rode with the light in testing or for photos even mentioned the weight of the light. The LiPo I used is a great option. 4+ hours of runtime and it weighs less than 2 pounds. You don't even know its in your pack. Very neat, I have a bunch of Lipos sitting around..... Good idea. I’ve been doing this with cheap Chinese lights for a few years. Bought an S2Pro yesterday. I have some aluminum mounts that I machined to mate with the GoPro. I hope I can use these. Great idea and write up.